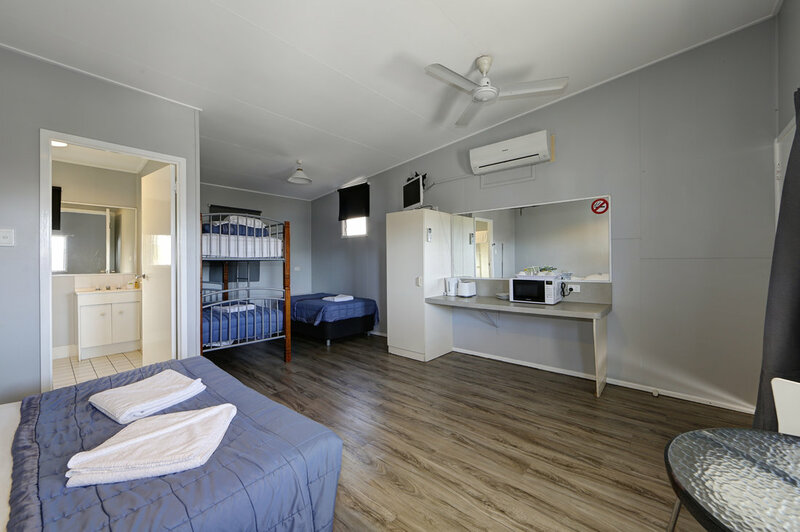 We provide a range of rooms and self contained cabins for all guests, families, school groups, sporting clubs, workers and corporate contractors. A single night or longer term as required, with prices to suit. Refurbished fresh and bright rooms. Nice and quiet as they are set back from the highway. Refurbished fresh and bright rooms, quiet as they are set back from the highway. Self Contained Cabins - !! Special Discount Rate !! Rates are for 2 people (additional $10.00 ppn). Special holiday cabins available ask us for a price! Rates are for 4 people (additional $10.00 ppn).